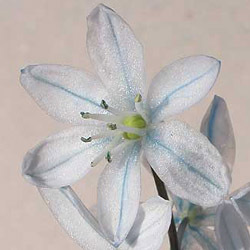 Most people associate various flower species with certain times of the year. Snowdrops signal the coming end of winter while daffodils tell us spring is just around the corner. 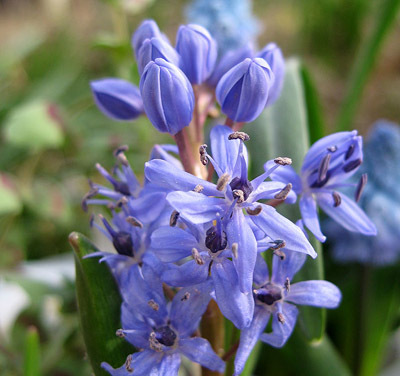 There is a group of mainly blue flowered plants in my garden that flower with the Narcissus but tend to be over looked or dismissed. 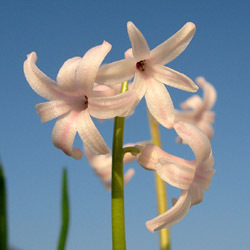 These are the Hyacinthacea in which one family has a very bad reputation. 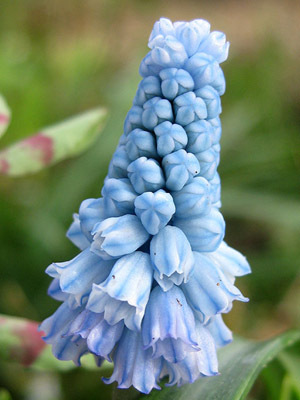 It's the thug that goes under the name of the grape hyacinth a member of the Muscari family. It can spread to thousands in a few years from just a few bulbs. If only all would multiply so fast. My M. neglectum hasn't increased from the two bulbs I originally bought. 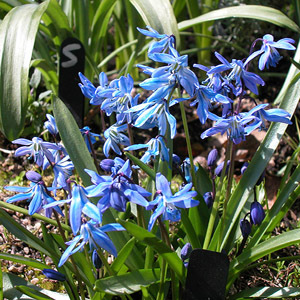 The blue flowers in my collection take in Muscaris, Scillas, Chionodoxas, Puschkinias and Hyacinthoides. All are very easy to cater for whether they are grown in the ground or pots. In pots they are in a very free draining mix consisting to equal parts grit and sand with added bonemeal and leaf mould. In the garden the planting mix varies according to where they have been planted. 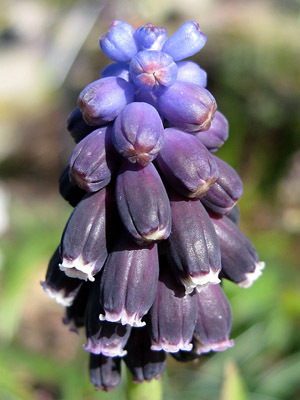 Muscari pseudomuscari in an alpine trough is in a mix that is 50/50 Westland top soil and grit. Muscaris growing on the rockery are in a mix of soil, grit and mulipurpose compost. Muscaris, Puschkinias and Hyancinthoides in one bed are growing in a heavy clay that has been improved with grit sand. 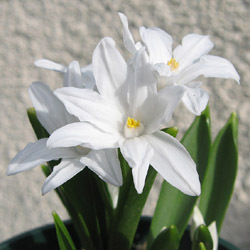 In another bed bulbs are growing in a light friable mix that is mainly top soil, grit sand and leaf mould. 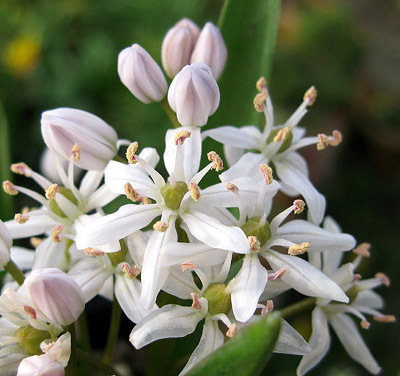 Many of these plants come in to leaf it the middle of winter but don't flower until mid March. Depending on the weather they may last from a few days to many weeks. This year they are struggling to cope with desiccating high winds and temperatures in the teens.